Please refer to our stock # FenRQvmV7 when inquiring. 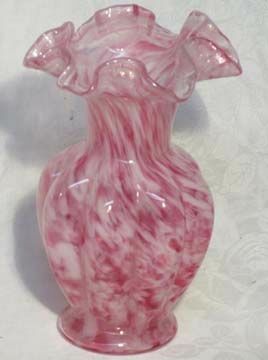 Fenton Vasa Murrhina Rose Quartz Vase is 7.25" tall and was made in 1965. It is in excellent condition.